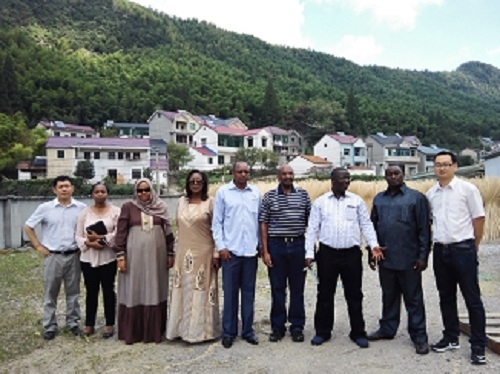 On the morning of 10 September, a delegation of seven Kenyan National Assembly members paid a visit to the International Centre for Bamboo and Rattan (ICBR). Ms. Li Xiaohua, Deputy Secretary of the party committee of ICBR, and heads of the Department of International Cooperation, the Department of Research and Education, the Department of Industry Promotion, and the Research Institute of Bamboo and Rattan Chemistry joined the delegation for a discussion. On behalf of ICBR, Ms. Li Xiaohua extended a warm welcome to the delegation, as well as her appreciation for the determination and efforts of the Government and National Assembly of Kenya to cut wood consumption by developing the bamboo industry. She underlined that bamboo is a branch of forest resources that features high regenerative abilities, broad usage, and high value, worthy of the attention of countries rich in bamboo resources. ICBR is prepared to enhance cooperation with Kenya on expert counselling, training, and joint application and implementation of international projects, so as to further promote the development and use of bamboo in Africa. Experts of the Department of Industry Promotion of ICBR briefed about the development of bamboo industry in China. Dr. Fu Jinhe of INBAR briefed about INBAR’s projects in Africa. Ms. Amina Abdalla, head of the delegation, expressed her gratitude for ICBR’s hospitality, talked about bamboo resources of Kenya, and noted that the Government and National Assembly of Kenya attached great importance to the development and use of bamboo resources. 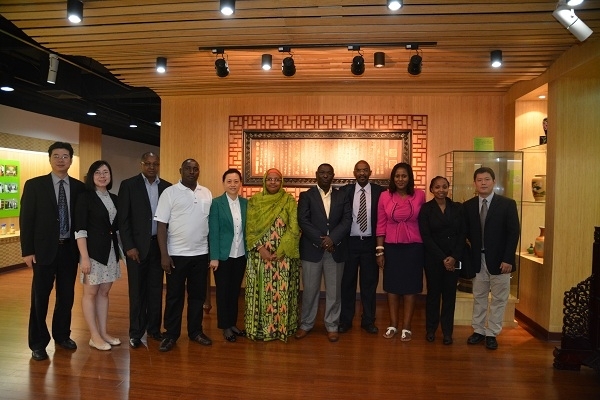 Ms. Amina Abdalla also noted that the delegation was very impressed with China’s bamboo industry. As a global leader in the development of this industry, China has a wealth of experience in the culture and processing of bamboo to offer to Kenya. Ms. Amina Abdalla expressed her wish to receive support from ICBR to develop the bamboo industry in Kenya. Before the discussion, the delegation was also shown to the bamboo and rattan product exhibition room. This delegation of Kenyan National Assembly members paid the visit on the invitation of State Forestry Administration. Accompanied by the director of the Department of International Cooperation, the delegation paid a field visit to Anji, Zhejiang, from 7 September to 9 September.